Pelorus Jack's award-winning cover art, 1973. John Donoghue in Mt Eden, 1973, taken when he was a member of Auckland band "Human Instinct." Martin Hope and Steve McDonald also passed through the Human Instinct. Graeme Thompson was a member of Wellington band "Tom Thumb" and Johnny McCormick played with Wellington's "Quincy Conserve." - Photo Susy Pointon. Piano, Acoustic Guitar & Vocals: John Donoghue. Acoustic & Electric Guitars; Backing Vocals: Martin Hope. Recorded at HMV Studios, Wellington NZ. Following the Loxene Golden Disc success of "Dahli Mohammed" in 1972, Ode Records producer Terence O'Neil-Joyce suggested that I round up some musicians and record an album of original songs. 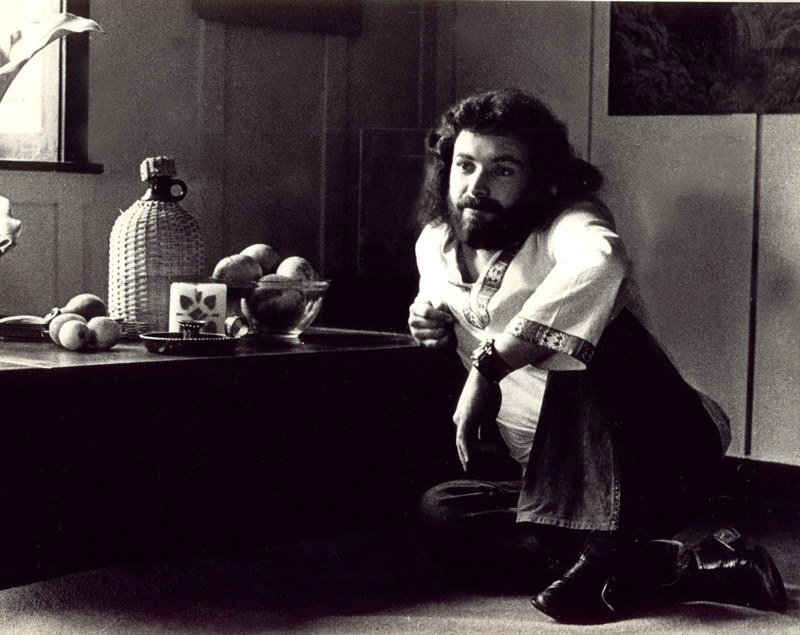 Following Timberjack's split in 1971 I moved into a house in Palmer street, Wellington. I was soon joined there by NZ guitarist Martin Hope of the Fourmyla band, fresh back from London and also an ex-member of the Three Shilling Club. As luck would have it, the Palmer street house happened to be directly across the road from the Wellington Folk Centre. In those days I was still finding my feet as a song writer. I would sketch out a song in my little red room at Palmer Street, race across the road to the Folk Centre and then test the song out on a bemused live audience. Work on the project was interupted when at first Martin, and then myself, moved to Auckland to join the Human Instinct. (see History Part Two - Human Instinct) Eventually a date to record the album was set at EMI Studios in Wellington. Martin and I flew down from Auckland for two quick rehearsals with Miramar Musicians Steve McDonald and Graeme Thompson before entering EMI studios to knock out the album in two short sessions. Wellington Musician Johnny McCormack (actually he's a Palmy, loud and proud) contributed the sax solo on the track "Regrets and things," and on doing so created a template for the next album. "Spirit of Pelorus Jack" (the album) went on to win "New Zealand Album of the Year" at the 1973 NZ Music Awards. 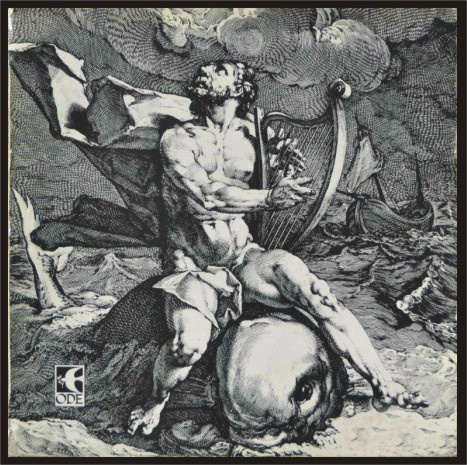 Terence O'Neil-Joyce's album cover design deservedly won "New Zealand Album Cover of the Year" at the same awards. 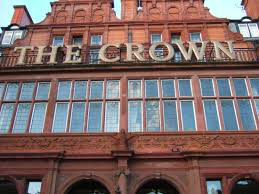 London's historic venue, the Cricklewood Crown. John Donoghue:- “Frits, Steve and I got a small flat in London, on the Edgeware road at Cricklewood, and scored some gigs for the band at the local pub, the “Cricklewood Crown.” One Saturday Frits and Steve turned up at the flat with Carl Everson, of the Fourmyula. They had ran into him on Edgeware Road, and it turned out the Fourmyula were living within walking distance of our place. They had a house in Willesden Green, and we saw a lot of them after that. They were as poor as we were. But somehow their life seemed more glamorous." ...one by one my Dizzy Limit bandmates all got day jobs. This meant they could now afford to sample London's night life, so on the weekends I would find myself alone in our little flat at Cricklewood. The Fourmyula's guitarist Martin Hope had the opposite problem. His was a seriously crowded house on the weekends. So, if he had a Friday or Saturday night off, he would stroll over to Cricklewood and the two of us would spend an evening jamming on our acoustic guitars. Martin was as broke as I was, but he'd bring one lone shilling that he'd managed to beg, borrow or steal from somewhere. Martin's shilling would feed the gas meter in our flat and make the gas stove go. I'd scrape up a shilling from somewhere for the electric meter that gave us lights to see by. Soon we were joined by Martin's friend, Kiwi guitarist Lee Baker, who owned and played a Martin Dreadnought acoustic guitar. I was so impressed with Lee's guitar that I vowed one day to own one just like it, and two years later, while with the Human Instinct, purchased a Martin D-18 Dreadnought that I still own and cherish to this day. Lee was performing with his Dreadnought guitar around the London Folk Circuit and along the way, picking up a treasure trove of traditional fingerstyle techniques from the London Troubadours he was mingling with. Lee was generous with his knowledge and passed on the various acoustic guitar techniques that he was learning to Martin and myself. In return, Martin and I would show Lee the electric guitar licks and riffs we were playing in our rock bands. Lee also brought a shilling along to the gathering, and his shilling fed the TV meter. So with our three shillings combined, we could take an hour off from our acoustic jamming to make coffee, grill up toasted sandwiches and watch the BBC saturday night live music program on TV, which would inspire us to jam on into the wee hours. Thus, the "Three Shilling Club" was born, and continued until I left London in late 1970. Martin Hope left the Formyula in 1971 and returned to New Zealand, where he and I would take the folkblues of the Three Shilling Club with us into the Human Instinct, which was to considerably influence the band's sound and style. Lee Baker also eventually returned to New Zealand, where he put his electric chops to good use playing in various bands throughout the 1980's. He has since carved himself out a successful career in the New Zealand Film industry. The Three Shilling Club also permeated into my songwriting, resulting in the nest of folkrock songs that would manifest as 1973's award-winning album "Spirit of Pelorus Jack." FEATURED SINGLE ; "A Worm's Eye View of Blackpool," named after the postcard mentioned in the song, is a good example as any of the 3 shilling club's influence on the songs of Pelorus Jack. 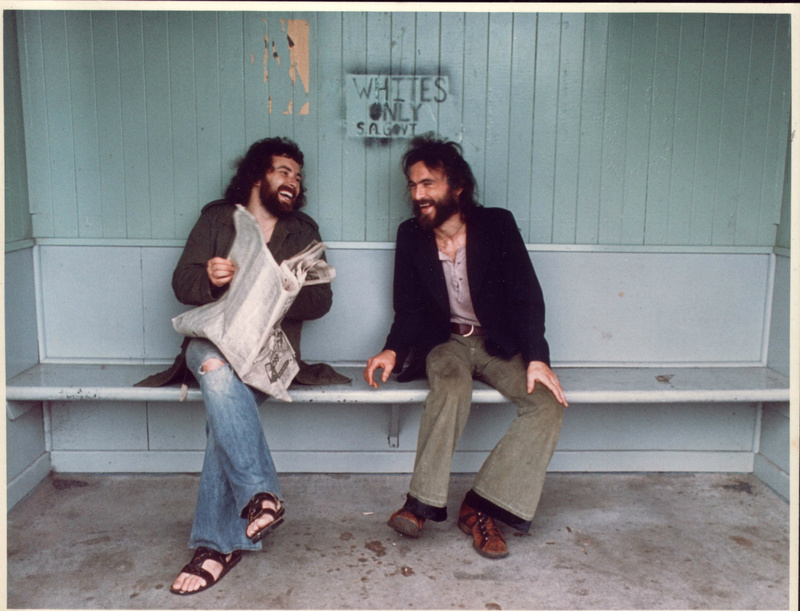 John Donoghue (L) & Martin Hope (R) enjoying the reviews, Mt Eden, 1973 - Photo Susy Pointon. If there were any prizes going for the best presented record ever in New Zealand, then John 'Timberjack' Donoghue's "Spirit of Pelorus Jack" would win it easily. I mentioned John's record a few weeks back when I heard a first pressing, but now I have the whole package, and I'm very impressed. The cover is a foldout one with a striking front cover showing Arion riding a Dolphin. It opens to reveal all the words of the songs printed on the left side and the cover motiff repeated on the right side along with an excellent track by track listing of personnel. As well there are three excellent colour photographs of the session musicians. The art direction is listed as having been by Don King, and Terence O'Neil-Joyce of Ode Records must be well pleased by the final result. I said before that John's songs were good and with a copy of the words they appear even better. The only song not written by John on the disc is by John Phillips and it is not saying too much to say that Donoghue and Phillips have much in common in their lyric writing. Both use simple words in very effective ways and Donoghue also knows how to twist an image in a clever way - "..you wear your mind in the latest style.." from "Song for Vanda." In the other three musicians, John has picked from the best and Martin Hope's guitar playing particilarly is fluid and pleasing. A lot of effort and loving care has gone into the production of this album and it shows, because it is the best local release for a long time. It's up to the public now to give John Donoghue the reward he deserves. All tracks from the "Spirit of Pelorus Jack" album are now available on Spotify.